Bond insurances are mainly given to cover failure of contractual agreement made between two or more parties. The legal contract dealt with different parties can fail due to various reasons. Therefore, inorder to compensate the loser there must be a surety to cover the loss. Worldwide there are more than 15 types of bond insurances. 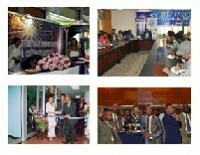 Ethiopian Insurance Corporation currently provides seven types of bond insurances. Namely Performance, supply, bid, advance payment, customs, maintenance & retention bonds. Hence, this brochure elaborates all these bond insurances that the Corporation provides to its customers. Under these bonds the Ethiopian Insurance Corporation (the surety) and the contractor are held firmly bound to the employer up to the amount stated in the Policy document. Both the Surety and the contractor bind themselves, their successors and assign jointly and severally firmly by these presents. Whereas the contractor has entered into a certain contract in writing with the Employer which contract with all its covenants and conditions is hereby made a part of this Bond to all intents and purposes as though the contract had been incorporated herein, including any duly authorized modifications of the said contract that may be made hereafter. This bond is executed by the Surety upon the following express conditions which shall be conditions precedent to the right of the Employer to recover hereunder. 2.3 in the event of any breach of the provisions of the contract, the Surety shall be subrogated to all the rights and properties of the contractor arising out of the contract. All deferred payments and all moneys and properties, that are then, or that may thereafter, become due to the contractor under or by virtue of the contract shall be credited upon any claim that the Employer may make upon the Surety. Under this bond the Ethiopian Insurance Corporation /the Surety/ and the principal are held firmly bound to the obligee up to the amount stated in the policy document. Both the surety and the principal bind themselves, their successors and assign firmly by these presents. The principal should submit the accompanying bid which indicates date, detail information with which the principal intered the contract and the purpose or for what the contract is entered. If the bid be accepted as to any or all of the items or materials and workmanship proposed to be furnished thereby or as to any position of the same, and if the principal will within the period specified thereof or, if no period be specified, within ten (10) days after notice of the award of the contract, enter into contract with the obligee, to furnish all work and materials at the prices offered by said bid, and will furnish bond with good and sufficient surety, for the faithful and proper fulfilment of such contract, then this obligation shall be void. And the Surety hereby binds itself and its successors to pay to the obligee, in case the principal fails to enter such contract and give such bond within the period specified thereof or if no period be specified, within ten (10) days after such notice of award of contract the difference in money between the amount of the bid of the principal on the work and material so accepted, and the amount for which the obligee may contract with others for such work and material, if the latter amount be in excess of the former, but in no event shall the surety’s liability exceed the sum hereof. Under this bond the Ethiopian Insurance Corporation /the Surety/ and the contractor are held firmly bound to the employer up to the amount stated in the policy document. Both the surety and the contrtactor bind themselves, their successors and assign jointly and severally firmly by these presents. Whereas the Contractor has entered in to a contract (a certain Contract) in writing with the employer related to for which and only purpose the Employer has agreed to pay to the CONTRATOR a sum of agreed amount upon presentation of an ADVANCE PAYMENT BOND for the same amount. Which agreement with all its covenants and conditions its hereby made a part of this BOND to all intents and purposes as though the ADVANCE PAYMENT AGREEMENT had been incorporated herein, including any duly authorized modifications that may be made hereafter. then this obligation shall be null and void otherwise it shall remain in force and virtue. This bond is executed by the surety upon the following express conditions which shall be conditions precedent; to the right of the Employer to recover hereunder. 3.1 This original bond shall be returned to the Surety after the expiry date. Where no claim hereunder is received by the Surety from the Employer on or before the expiry date, this bond will automatically become null and void irrespective of its being returned to the Surety or not. 3.2 Upon the discovery by the Employer or by the Employer’s agent or representative, of any act or omission that shall or might involve a loss hereunder, the Employer shall give immediate written notice hereof with the fullest information obtainable at the time to the Surety at its Head Office. 3.3 In the event of any breach of the provisions of the contract, the Surety shall be subrogated to all the rights and properties of the Contractor arising out of the Contract. All deferred payments and all money and properties, that are then, or that may thereafter; become due to the contractor under or by virtue of the contract shall be credited upon any claim that the Employer may make upon the surety. War, invasion, act of foreign enemy, hostilities or war like operations (whether war be declared or not) Civil war. Mutiny, civil commotion, popular rising, military rising, insurrection, rebellion, revolution, or usurped power, martial law or state of siege or any of the events or causes which determine the proclamation or maintenance of martial law or state of siege or any acts of terrorism. Earthquake, flood or other acts of God. All differences arising out of this bond guarantee shall be referred to the decision of an Arbitrator to be appointed in writing by the parties in difference or if they cannot agree upon a single Arbitrator to the decision of two Arbitrators, one to be appointed in writing by each of the parties within one calendar month after having been requested in writing so to do by either of the parties or in case the Arbitrators do not agree of an Umpire appointed in writing by the Arbitrators before entering upon the reference. The umpire shall sit with the Arbitrators and preside at their meeting and the making of any award shall be a condition precedent to any right or action. The insured hereinafter called the “Principal” (which expression shall include its successors/heirs, executors, administrators and legal representatives) and the insurers hereinafter called the “Surety” (which expression shall include its successors/heirs, executors, administrators and legal representatives) are firmly bound unto the Ethiopian Customs authority hereinafter called the “authority” (which expression shall include its successors and assigns) in the sum of agreed amount to be paid to the authority for which payment well and truly to be made bind every concerned body and whole heirs, executors, administrators and legal representative and every of them firmly by these presents. or otherwise to pay to the authority the full duties and taxes in respect of so much of the said goods as shall not have been re-exported as per an appropriate permit from concerned body so proved as aforesaid. then this General customs bond shall be void, but otherwise shall be and remain in full force and virtue. This general customs bond is given under customs proclamation 60/1997 chapter seven. This general customs bond shall cover goods will be imported temporarily into Ethiopia under this guarantee, as aforesaid, from the date the customs bond officer signed on this general customs bond to a period specified herein before. III. The Surety has power and obligation to give this general customs bond without further deleyance in favor of the authority and the signatory of this bond on behalf of the Surety has full power to sign this bond. The insured hereinafter called the “principal” (which expression shall include its successors/heirs, executors, administrators and legal representatives) and the insurer hereinafter called the “Surety” (which expression shall include its successors/heirs, executors, administrators and legal representatives) are held and firmly bound unto the Ethiopian Customs Authority hereinafter called the “authority” (which expression shall include its successors and assigns) in the sum of agreed to be paid to the authority for which payment well and truly to be made bind both parties severally for and the whole heirs, executors, administrators and legal representative and every of them firmly by these presents. Whereas the above bounden (principal) shall transit the uncustomed goods, by road from place of customs transit departure to place of customs transit destination. The above written particular customs bond has the following conditions. then this particular customs bond shall be void, but otherwise shall be and remain in full force and virtue. This particular customs bond is given under customs proclamation 60/1997 chapter seven. 2. This particular customs bond valid only for one transaction. 3. The surety has power and obligation to give this particular customs bond without further deleyance in favor of the authority and the signatory of this bond on behalf of the surety has full power to sign this bond. The contactor has entered into a certain contract in writing with the employer mentioning all the necessary information indicated in the policy. The employer after having given the provisional acceptance, has agreed to enter into a contract with the contractor, to release the retained amount of money to the contractor before the expiry date of the maintenance period which contract with all its covenants and conditions is hereby made part of this Bond to all intents and purposes as through it is incorporated herein, including any duly authorized modifications of the said contract that may be made hereafter. if the contractor shall well and truly and faithfully comply with all the terms, covenants and conditions of the latter contract or in default by the contractor the surety shall satisfy and discharge the demand by the employer up to the sum agreed, then this obligation shall be null and void otherwise it shall remain in force and virtue. 2.2 In the event of any breach of the provisions of the agreement, the surety shall be subrogated to all the rights and properties of the contractor arising out of the contract. All deferred payments and any and all monies and properties, that are then, or that may thereafter, become due to the contractor under or by virtue of the contract shall be credited upon any claim that the employer may make upon the surety. The Surety shall not be liable for any damage resulting from strikes, or labour difficulties, or from mobs, riots, fire , the elements, or Acts of God or for the repair or reconstruction of any work or material damaged or destroyed by any such causes, nor for damages for injury to persons, nor for the non-performance of any guarantees of the efficiency or wearing qualities of any work done or materials furnished or the maintenance thereof or repairs thereto, not for the furnishing of any bond or obligation other than this instrument. Maintenance bond is given when the contractor has entered into maintenance contract in writing with the employer for specified period and duty. The contract with all its covenants and conditions is hereby made a part of this bond to all intents and purposes as though the maintenance contract had been incorporated herein, including any duly authorised modifications of the said maintenance contract that may be made hereafter. 2. or if on default by the contractor the surety shall satisfy and discharge the damage sustained by the employer thereby up to the sum of agreed amount. 3.2 If the contractor shall fail to comply with the provisions of the contract to such an extent that the contract shall be forfeited, the surety shall have the right and opportunity to assume the remainder of the contract and at its option to perform or sublet the same. 3.3 in the event of any breach of the provisions of the contract, the surety shall be subrogated to all the rights and properties of the contractor arising out of the contract. 3.4 All deferred payments and all money and properties that are then, or that may thereafter, become due to the contractor under or by virtue of the contract shall be credited upon any claim that the employer may make upon the Surety. No change shall be made in the plans and specifications forming part of the contract that shall increase the amount to be paid to the contractor by more than 5% unless the surety’s consent thereto shall be secured in writing. The guarantee given by this particular Maintenance Bond shall be governed by the suretyship provision of the civil code. The Surety shall not be liable for any damage resulting from strikes or labour difficulties or from mobs, riots, fire, the elements, or acts of God or for the repair or reconstruction of any work or material any such cause; nor for damages for injury to persons, nor for the non-performance of any guarantees of the efficiency or wearing qualities of any work done or materials furnished or the maintenance thereof or repairs thereto, nor for the furnishing of any bond or obligation other than this instrument. With the exception of the instances where differences may not be submitted to arbitration according to article 315 (2) of the code of civil procedure, all differences arising out of this bond guarantee shall be referred to the decision of an Arbitrator to be appointed in writing by the parties in difference or if they cannot agree upon a single Arbitrator to the decision of two Arbitrators, one to be appointed in writing by each of the parties within one calendar month after having been requested in writing so to do by either of the parties or in case the Arbitrators do not agree of an Umpire appointed in writing by the Arbitrators before entering upon the reference. The umpire shall sit with the Arbitrators and preside at their meeting and the making of any award shall be a condition precedent to any right or action. This brochure is prepared to elaborate about “Bond Insurances”. Provided by the Corporation. Therefore, legally it shall not come to force.